Costello - THE MASSACRE AT LE PARADIS - HELL IN PARADISE - MAY, 1940. ​Regimental Sergeant Major Alfred "Bill" Thomas Costello was a member of the 2nd Battalion Royal Norfolk Regiment who was wounded in the area around Le Paradis just before the massacre. He survived and was shipped back to the United Kingdom. 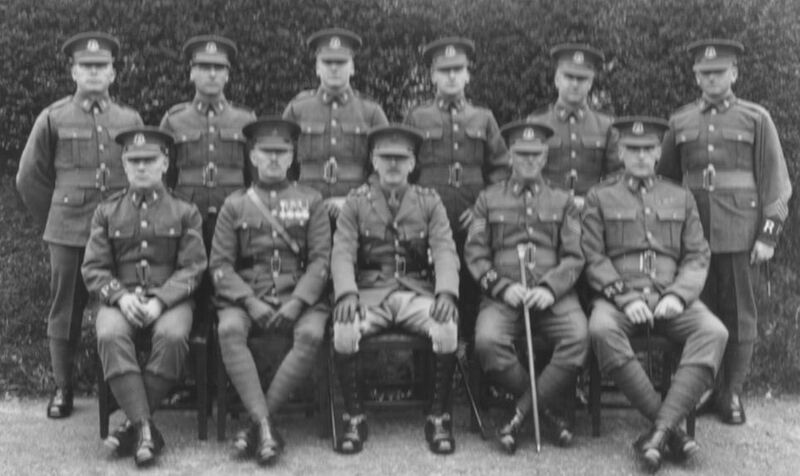 The picture above is of RSM Costello's battalion and was taken at Aldershot in 1935. "Bill" is seated on the far left.